An unmissable opportunity to enjoy a talk and tour of the spectacular Mount Stuart Trust on the Isle of Bute. As one of Scotland’s great gardens, recent restoration developments and continued improvements within the arboretum, kitchen garden, rock garden, wee garden and various path improvements throughout provide fresh interest and encourage exploration of the gardens. A chance to see the champion trees on the grounds close up and personal. A one-day 'signposting' course to help arborists improve their understanding of arboriculture's wide range of knowledge topics: tree ident, physiology, pruning, decay, biomechanics and much more. Considering Becoming a Registered Consultant? The Arboricultural Association is pleased to announce the launch of a new free to attend Aspiring Consultants Day. With many professionals taking the step into consultancy, being able to demonstrate your standard of knowledge and experience, and your ability to practise as an arboricultural consultant in the most complex situations sets you apart from the field. A one-day Lantra Awards accredited course for those who want to obtain the skills and know-how that will enable them to recognise basic hazards and report onwards. If you are looking to take your first step in Arboricultural training, this is the ideal course for you. This is an opportunity to better understand ‘your’ industry standard, will help you stay ahead of the competition and improve your tree work management advice and recommendations. The course is aimed at any person, in any industry, involved in undertaking or reviewing BS5837 reports. The workshop is designed to be suitable for any arboricultural professional, including Local Authority Tree officers, Arboricultural Consultants and Contractors and Landscape Architects. It may also be useful to professionals of other disciplines such as loss adjusters and engineers to gain a modern understanding of the likely impact of climate change, focussed on the urban tree environment. 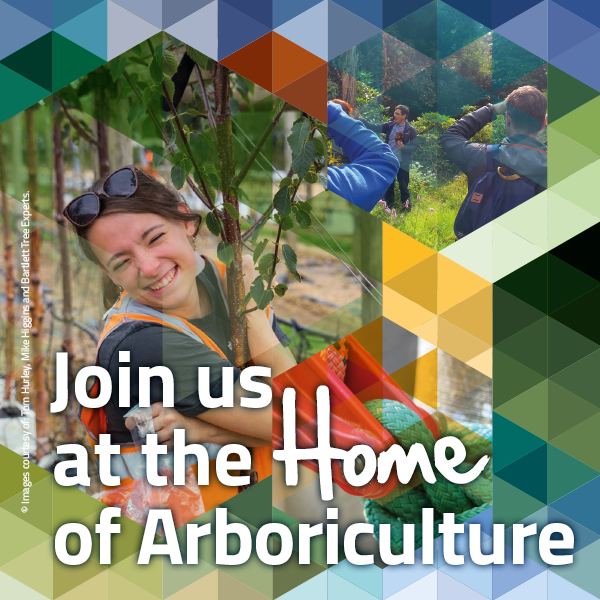 The newly invigorated East Anglia Branch will be hosting an exciting day of talks with Jeremy Barrell and Keith Sacre at Barcham Trees' Ely site followed by a nursery tour! This is not a day to be missed! A specialised one-day course for Tree officers, Arboricultural Consultants, Contractors and other arboricultural professional who may be required to manage subsidence cases, as well as give well-informed advice. This 2-day course bridges the wide gap between the Basic Tree Survey & Inspection (BTSI) and the Professional Tree Inspection (PTI) courses. With instructor-led sessions and theory-based presentations, you’ll be guided through the various stages of tree inspection, risk assessment and other tree management procedures. You’ll gain practical experience, receive one-to-one feedback and discover the latest techniques and innovations in the industry. You’ll also meet other tree inspectors in similar situations and roles and get the chance to ask questions in a supportive and relaxed environment. PLEASE BE AWARE THIS IS A NON-RESIDENTIAL COURSE Hotels are available nearby. This course is designed to give a solid introduction to soils, especially urban soils, so that all those working with trees in urban settings can be more confident about using and specifying soils for a range of purposes. It will demystify soils for arboricultural professionals and give delegates some simple yardsticks for decision making involving soils and their management. This three day (non residential) course is designed for experienced arboriculturists who are entrusted to make the right decision regarding tree safety issues. The well respected course is Lantra Awards accredited and those who are successful in the exam will be awarded with a certificate of achievement. Are you looking to sharpen your skills in professional tree inspection? This one day refresher course is perfect for those who have previously attended the Lantra Awards 3-day course and need to keep up to date with the ever changing thoughts and policies surrounding tree survey and inspection. A retake of the Professional Tree Inspection exam. Only available to previous Professional Tree Inspection course candidates. This one day course will deliver a comprehensive guide for practical arborists and managers to ensure a safe environment that will meet the requirements of the law and many insurers. Scotland Branch AA is proud to announce their latest training event. We will be hosting Jeremy Barrell. As the Managing Director of Barrell Tree Consultancy www.barrelltreecare.co.uk, Jeremy is one of Britain’s leading planning and legal tree management practices. He has been involved in six of the 11 civil cases relating to harm arising from tree failures that have resulted in written judgements in the last two decades. This workshop is an extension of the 'Getting to Grips with Subsidence' course. If you are a Tree officer, Arboricultural Consultant, Contractor or an arboricultural professional this workshop is designed with you in mind. Simply looking at trees- where else can 50 brains with 50 opinions discuss trees, from 1,000 years old to an organic nursery and the first forest soil reserve in the world? If you have had your TRAQ qualification for coming up to 5 years you will need to attend a TRAQ Renewal Course to keep your qualification current. This course will refresh the key points of TRAQ and give you chance to sit the exam again as is required by the ISA. This hands on course is ideal for tree work contractors and others who need to identify and diagnose tree pests, diseases and fungi as part of their regular work. Simon Cox and Paul Melarange deliver this new hands-on training course. A one-day workshop offering practical training and demonstrations in the use of new AA Guidance Note 11 Aerial Inspections - A guide to good practice. With some trees ageing into the thousands its important to understand the unique way in which to value and manage these impressive trees. This course is open to anyone, in any profession, who has a keen interest in Ancient and Veteran trees. Trees and Fungi – An Informal walk and talk around the grounds of Clyne County Park by Teifion Davies on the relationship between Trees and Fungi. Teifion has worked at Clyne Gardens for many decades and he has always had a very keen interest in Trees and Fungi.